The death of a celebrity always results in a mass of news coverage. The scale of media attention may vary but it is often a time when the public acknowledge the human aspect of the late celebrity; behind the public persona was essentially someone just like anybody else. This media spotlight illuminates the features of a person’s passing which are normally private: grief and loss to name but two. In the same way, the coverage can highlight some of the legal difficulties faced by the loved ones of the deceased in the aftermath of their death. It is always unfortunate when problems arise concerning the administration of an estate but the high-profile situations revealed after a celebrity’s death can sometimes emphasise an issue much more forcefully than a simple explanation. It is hoped that in examining a few examples of when difficulties have arisen that such things can be avoided from happening to others. Yes, in some cases, the sums of money involved may be higher and the events more widely reported, but it is not difficult to imagine these situations occurring to ‘ordinary’ people like you or me. The recent death of the iconic musician Prince at the age of only 57 came as a shock to many people worldwide. But a further surprise emerged when, despite leaving an estate undoubtedly worth many millions of dollars, it appeared Prince did not have a Will. This is according to documents which his sister, Tyka Nelson, filed when requesting that a special administrator be appointed by a court to deal with the musician’s estate. Reportedly, these documents also detailed that Prince had no spouse, children or living parents and that besides Tyka, who was his only full-blood sibling, he had 5 living half-siblings – 3 half-brothers and 2 half-sisters. Prince’s estate comprises his house (apparently assessed at $6.7 million), 15 other properties he owned and his music catalogue, the latter which has been conservatively estimated at $300 million, plus any other money and property he owned which is not yet known about. The implications of all this are that, at the time of writing, Prince’s entire estate will be passed not according to any wishes the musician himself may have had but according to Minnesota’s intestacy rules. Under these rules, siblings and half-siblings are treated equally so all of Prince’s siblings stand to be entitled in equal shares of the estate. As an aside, this is in contrast with UK intestacy rules which give priority to full blood siblings over and above any half-siblings. The situation is a stark reminder of the importance of making a Will. Maybe Prince preferred some of his siblings over others? Or intended that one of them should inherit a particular piece of his property? Maybe he would have wanted someone else entirely, other than his siblings, to inherit some or all of this estate? Any evidence which could be gathered to suggest such things would not affect the operation of the intestacy rules, though they might give rise to lengthy and expensive court battles if claims were made based upon them. It is interesting to note, however, that when the Court granted Tyka Nelson’s application for a special administrator to be appointed, they stated “The court is not finding that there is no Will, but that no Will has yet been found.” (Source). Indeed, surprise has been expressed that Prince left no Will when he took such great care to protect his music catalogue; he famously removed his back catalogue of songs from streaming services such as Spotify and Deezer. This raises another important issue: not only is a Will required to dispose of your property in the way you wish after death, it is also crucial that your Will is found. The terms of a Will cannot be followed if nobody is aware of them. The possibility remains that Prince has made a Will but if any such Will were to remain undiscovered, it would be effectively useless. In the UK, there is an easy way to avoid such situations. A Will can be registered with a National Will Register such as Certainty. 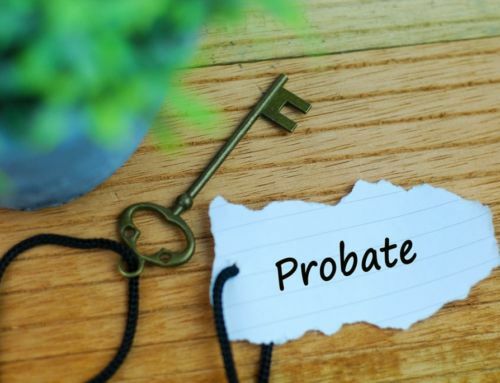 This database allows searches for registered Wills to be made by loved ones after a death and can provide details such as when a Will was made and where it is being held. Not only does this allow a Will to be found if loved ones are unsure if one was made, but it also ensures that the most recent valid Will is easily identified. It is one thing for someone to never make a Will and for their intentions to go unimplemented, it is perhaps more unfortunate to believe that a loved one made a Will but their intentions are to remain undiscovered. For reasons such as these, all Wills we write are registered with Certainty as part of our service. Additionally, we register any Wills given to us for storage, regardless of whether we have drafted them or not. Turning to another example, recent news stories have reported problems surrounding the Will of actress Lynda Bellingham. Bellingham was perhaps most widely-known for her appearances on the TV show ‘Loose Women’ and as the Mum in the long-running series of Oxo adverts. She died in October 2014 following a battle with bowel cancer. Her Will left all of her estate to her husband, Michael Pattemore, but is now being contested by her two sons from a previous marriage, Michael and Robbie Peluso. Her sons are claiming that she wanted them to be supported after her death and that Mr Pattemore is not acting according to these wishes. The basis of their contention appears to be that they have only received a small amount of money from Mr Pattemore whilst they allege he has spent estate money on various holidays, a new car and a trip to Dublin for a hair transplant. Mr Pattemore’s contention is that money cannot be advanced to them at present as probate has not yet been granted on the estate. Whilst it is impossible to comment on the validity or details of these contentions, it is apparent that there is a lack of trust between Lynda Bellingham’s sons and Mr Pattemore. This renders the disposal of Lynda Bellingham’s estate a lot more difficult, regardless of whether any alleged wrongdoing is true or false. A Will is made for the benefit of those you leave behind so discussing your intentions and considering how friends and family may react is important when making one. Theoretically speaking, if Bellingham had wanted to ensure provision was made for her sons then the ideal situation would be to specify this in the Will. However, if she instead wanted to leave it entirely to the discretion of her husband, then there always remains the possibility that any dependents, who are unhappy with the Will, may look to challenge it on the grounds that they have not been adequately provided for. More information on this topic can be gained from our previous article ‘Can my Will be Ignored?’. Finally, an older but perhaps more outlandish example is worth looking at: that which arose from the death of the comic actor, Peter Sellers. Best known for playing the hapless Inspector Clouseau in the Pink Panther film series, Sellers died at the age of only 54 from a heart attack. Though he was very wealthy at the time of his death, a strange combination of circumstances resulted in the vast majority of his fortune being inherited by someone he had never met and to whom he was essentially unrelated. His three children received comparatively minor sums of money, valued at about £3,000 each today. When Sellers died in 1980, his estranged fourth wife Lynne Frederick inherited almost all of his £5 million estate. The couple had been undergoing divorce proceedings, but these were not finalised at the time of Sellers’ death. In 1994, Frederick herself died and the fortune passed to her child from a subsequent marriage, Cassie Unger. Ms Unger had been born in 1983, 3 years after Seller’s death. At this time, all three of Sellers’ children were still alive. It has been reported that Sellers’ relationships with his children were strained but there was also some evidence that Sellers was trying to make amends with his youngest daughter, Victoria. Documents intending to set up a trust for her were found signed on the very day that he died but the documents were not filed and so did not take effect when the estate was administered. Had this been completed, Victoria would have been entitled to money equivalent to the value of roughly £75,000 today. It is a sobering thought to anyone putting off making their Will that if Sellers’ death had occurred perhaps even a matter of hours later, it could have resulted in Victoria receiving a much greater sum from her father’s estate. It is also important to remember that during divorce or separation, that one makes or changes one’s Will to reflect new circumstances. It is worth repeating that you don’t have to be a multi-millionaire for the issues highlighted in this article to affect your loved ones after you are gone. As stated above, given unfortunate circumstances and a lack of planning, anyone could be negatively affected by these or similar situations. If you would like to discuss ways in which such difficulties can be avoided, please do not hesitate to contact us to see how we can help.